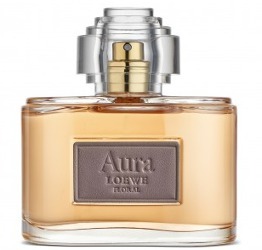 Spanish luxury brand Loewe has launched Aura Floral, a new fragrance for women. Aura Floral is a flanker to the 2013 version of Aura. The most floral variant of Aura Loewe. An Aura full of secrets and subtleties, contrasts and contradictions. A feminine and inspiring eau de parfum where a floral bouquet based on violet, rose and jasmine stands out. The unique and unmistakable essence is brought by the carrot seeds, used for the first time in a LOEWE fragrance, as well as the emblematic note of LOEWE leather. Additional notes include bergamot, lemon, green accord, orange blossom, vanilla, musk and patchouli. Loewe Aura Floral is available in 40, 80 and 120 ml Eau de Parfum. Carrot seeds? I need educating about this, please Robin. It sounds like a very healthy, low GI perfume. Carrot seed does not smell like carrots, or at least, not much — depends on what they do with it. Smells more like earthy/ vegetal iris and is sometimes used in iris accords.